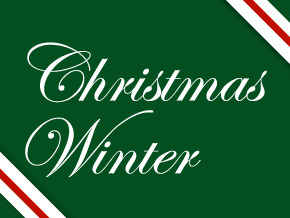 Quick Look: If you're looking for an ambience app with some seasonal flair, Christmas Winter will display a slideshow of over 100 winter-themed photos and graphics while playing classic Christmas carols. While many of the images are not specific to Christmas, but are generic outdoor snow- and ice-filled scenes, there are also studio images of Christmas tree ornaments thrown into the mix. Although this channel is listed as a screensaver app, it is not actually a screensaver - it must be manually launched from your Roku home screen. Developer's Channel Description: Over 130 brilliant Christmas & Winter photos to make your TV pop this holiday season! Enjoy the slideshow along with over 3 hours of music from 'rat pack' favorites as well as classical hits. Start the slideshow, turn up the volume and relax or go about your day. No commercials and no interruptions! * Music stops playing after 3 hours to conserve bandwidth. Restart the channel to play the music.